iOS 8 is expected to release to the masses on September 9th. In fact iOS 8 has more features and widgets then has been seen in an OS rollout in a long time. iOS 8 is the real deal and you will be delighted to discover the benefits and features waiting for you to get your hands on. 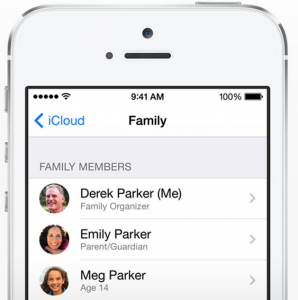 Let’s look at the top 10 features of iOS 8 that will make your life easier and more fun. Most of us use our iPhones for work and play and these features are just what you need to get even more use out of your iPhone. 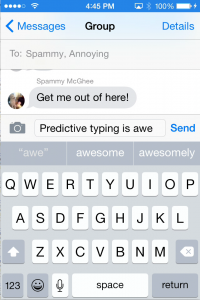 Start typing and predictive words pop up allowing you to tap them and finish a text much faster. This one feature alone can almost double your typing speed and office productivity as the keyboard finishes the phrases for you after it learns about your style of speech. Simply ask Siri, “What song is this?” and then let her listen. It’s that simple. Security has been greatly increased and the TouchID feature is just one of the many features that prevents your sensitive data on your iPhone from being compromised. It has a synthetic ruby cover over the fingerprint scanner, which may be seen in the new unbreakable screen facings that will cover future iPhone’s screens, if current rumors hold true. As it is, it provides a secure and clear window from which to sample your biometrics to ensure you are the correct person to access your iPhone. This feature is going to be one of your favorites. Not only will it help find things stored on your iPhone, it will also search outside of your iPhone and use contextual clues to give you the best results. From news, to showtimes to nearby restaurants, you can now use spotlight to find anything. While this is not a pure business feature it is one that helps integrate your business life and home life. This is vital today for those of us on the go. You can check in on the family and make sure everything is shipshape with your home security, turn on lights, and unlock doors when you arrive home late at night or get back from a business trip. 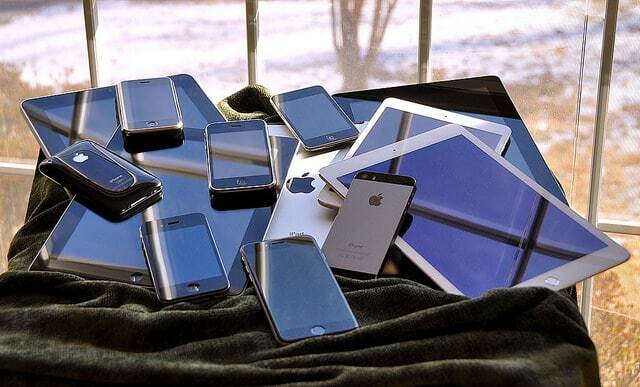 Many home appliances are becoming iPhone aware and in the future the home may be totally controllable from your iPhone. In a similar vein this will keep track of your physical well-being as well. Exactly which features will be incorporated haven’t been released yet. Health is a number one issue today with poor eating habits and lack of proper rest and exercise affecting us all. 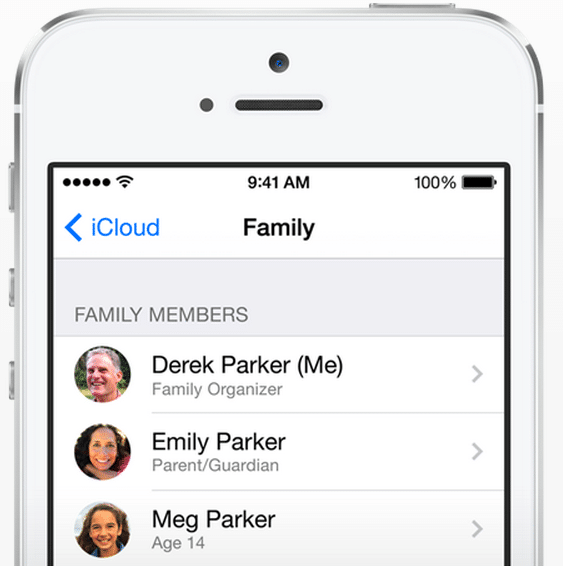 This allows the sharing of everything between the iPhones of a family. This simplifies the planning of everything from family events, finding a lost device and even get real-time approvals for an in-app purchase your child wants to make. You can also of course, share music, photos and the family credit card without having to be logged in through the same Apple ID. This is huge. This feature lets you start working on something on your iPad and then share it over WIFI to another device. Bluetooth is another medium you can use transfer to your iPhone as you leave to go to visit a customer and you can work on in it route, then finally to be delivered at the customers office from your iPhone. There are numerous other sub-features listed under this heading, which are listed below. Handoff is a sub-feature of Continuity that switches a project from one iOS 8 device to another and does so in a seamless manner. Apple’s boast is that “You start work on one iOS 8 device and will be finishing it on another.” This is a key feature of Apple’s plans to integrate all platforms and make them seamlessly compatible. It also interfaces with the iCloud drive feature to let you move information up to the cloud on one machine and retrieve it on another in a different location. Apple has indicated that there will be many new Emoji in iOS 8. The beta versions for mobile development companies does not show any new emoji this far. I’ll bet they won’t show the new emoji until the final version is released on September 9th. The most popular requested emoji are: more ethnic diverse people, the middle finger, a volleyball and hockey sticks. What feature are you most looking forward to? Can you please provide a password for my messages and photos? my i-phone 5 is stuck. I get a whatsApp message that I received from a friend plus a weather application sign, but I can’t get of of from this mode: The button at the bottom does not respond, I can’t unblock it by sliding my finger to the right, I cannot turn the phone off by pressing the ON button on top and sliding the spot to the righ, I cannot do anythingnothing. It is COMPLETE STUCK. I though on taking the battery out, but I don’t know how to do it. Hold round home button down and power button for about 10 seconds. That will fix your issue. Can anybody help. My Iphone has lost signal and reset the date to 1st January 1970. My wife’s iPhone 5 has a problem with not being able to hear whoever’s calling, unless you put it on speaker phone. What can I do? Hmm. Try rebooting device first. That should solve it. I lost Mail when I downloaded 8.1.2 on my IPhone 5C. How an I restore it? Reboot phone (hold down home and power button for 7 seconds). It’s there. Mail can’t go away. I have just switched my iphone 5 on and it is on full zoom in and I can’t get it off to do anything else. Can anyone help, iv tried reboot. Go into settings-General-Accessibility and turn zoom off. My iphone 5 doesn’t show network signal.. It just shows searching…. even after rebooting several tomes. Hmm. That is odd. Sounds like error with that device. A reboot should hook you back in to cell network. My new iPhone 6 says NO Sim. I can not use my phone for a month now. The My Music button has disappeared from the home page. In settings it still shows i have 96 songs but I can’t access them. I’ve looked in the squares with Games & Extras but it is nowhere. Please help. My iPhone 5s won’t let me access messages or phone buttons it’s just a frozen white screen. I can’t receive calls or texts either. Everything else seems to be working fine. I tried to update it and that won’t go through either. System rebooted a billion times even turned off and left ofc over night still no joy. Any ideas!? yikes. I’d bring it in to an Apple store. It sounds like a defective device. iphone 5s My dictate icon doesn’t work. It is on but I just get a straight line across screen. It moves slightly. I’ll bet your audio is hooked into a bluetooth piece of hardware and that’s why it is not working. Triple click your home button and it will fix this issue:) If this does not work, then go to settings–>General–>Accessibility. Scroll all the way down to “Accessibilty Shortcut” and uncheck Zoom. Then go back to home screen and try triple clicking again. Viola! The color disappeared from my iphone 5. I can’t find anything in settings to change. I shut the phone down a couple of times. Still no color. Any suggestions? Yes. Good question. Triple click your home button and it will fix this issue:) If this does not work, then go to settings–>General–>Accessibility. Scroll all the way down to “Accessibilty Shortcut” and click Greyscale. Then go back to home screen and try triple clicking again. Viola! I can’t always hear the phone ring even though the volumn is up and the ringer is on. I can leave the phone in one place and one call Will ring through and the next one doesn’t. This is on a 5s phone. That is really odd. I’d take it in. Someone has to see this issue. My iPhones screen went black. I can still receive text and calls. But the screen stays black although it lights up a bit. I cannot turn off phone either. Hold down power key and home button together for 5 seconds. Should help. Make sure it is not hooking into a local bluetooth speaker somewhere nearby. That’s happened to us a bunch. Help ! My I phone 5 suddnely, this am, has a frozen screen. does not respond to to thumb print or tyred in password. Power Off but does not respond, so I cant reboot.. is there a way to reboot with out the pwer off switch ? Hard reset it: Hold down on/off button and home at same time for 5-7 seconds until Apple logo appears. I’m sorry to hear that. I’d have to see the device. Take it in to Apple store. I can not make a call and receive one. How do I make iPhone function properly. You’ll have to call your carrier. From PC, not able access/down load photos shot after 26-04-2015,07.20 hrs. All photos folders are tagged with Modified & created on same date 26-04-2015, 07.20 hrs. Im able to see all such photos in phone ofcourse..
Pls give me some tips. I’d have to see what you mean to fix. Sorry. If you are using Aperture, try moving all images on the computer from that batch to another folder. I just got 4 iphone 5 s’s. set them all up at the same time. My problem is that they seem to be all linked together. 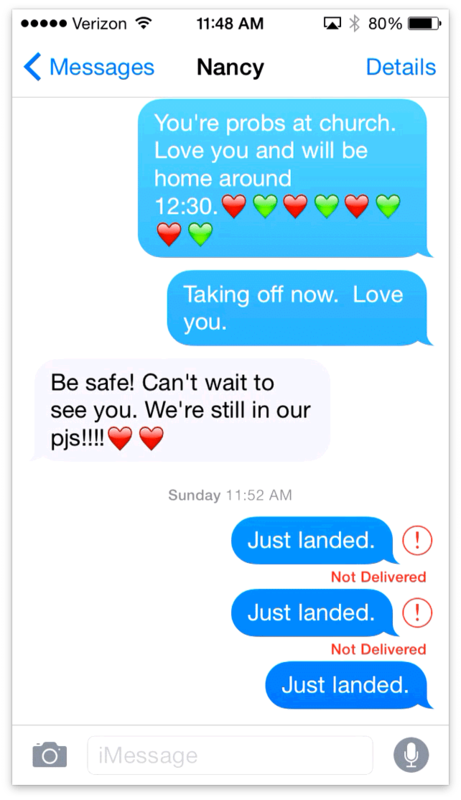 Every text i send to wife’s phone gets sent back, every contact i put in immediately shows on the other phones….etc. Go to settings–>iCloud–Turn Contact Off. It will then only store the contacts on that phone…on that phone and not across all iCloud accounts. turn iMessage off then on again in settings. It’s an Apple bug. My 5 just shut down completely and suddenly today. Only one year old, and was fully charged. It will not turn back on, and my desktop Mac doesn’t recognize it when i plug into USB port. I assume I have to go in to Verizon? Thanks. I have a iPhone 5c yesterday phone died plugged in to charge charged all night tried to turn on and apple logo appears 1 min the shuts back off ??? Tried reset by holding power and home bitten but no effect and ideas ?? My iPhone 5c has a black screen I tried hard booting it and nothing happens, I can talk to Siri but nothing comes up on the screen still just black. Help!! I have an iPhone 5s and it keeps saying no sim card and no service. I reset it several times, but it still won’t stay on. I took it to the US Cellular place and they replaced the sim card, but it still says no sim card and still no service. It won’t stay on at all. It is less than a year old. My iphone 5 shutsoff whenever it gets a slight jerk, wont turn on unless i put it to charge. I have gone to settings – General – and accidentally changed my “auto-lock” to 30 seconds… The text for auto-lock is now light grey and when I press this setting on my screen, nothing happens. I want to change that setting back to “never.” What may I do to correct this??? Hi, on my iPhone 5 if I want to record video I have to keep pressing the red botton if I let it go stop recording, why? My I phone 5S is about two years old I think. This problem just started in the last week or so. I can make calls and texts tine. I also can receive calls from my home phone, but no other outside lines or cell phones. I can receive texts though. I have tried turning it off and back on. Airplane mode off and then on. I closed all open windows. Nothing has helped so far. Each time headphone are connect to phone Siri or voice command o comes on , even when it disable . I blow air in the jack & this still happens. Please do u have a solution for this problem ? Can’t listen to music. Help!! I’m guessing it’s an issue with your headphones. You can activate Siri by pushing the middle button on the headphones.